Floods are wreaking havoc across parts of Kazakhstan as authorities are forced to evacuate dozens of settlements. Tengrinews, citing the Karaganda Oblast's Department of Emergency Situations, reports that 1,760 houses have been flooded in 35 villages with 340 livestock having been drowned. In February this year heavy snow and blizzards hit Kazakhstan forcing some residents to dig tunnels to escape their buried houses. Sharp rises in temperatures recently have intensified the melting of snow and caused widespread flooding. 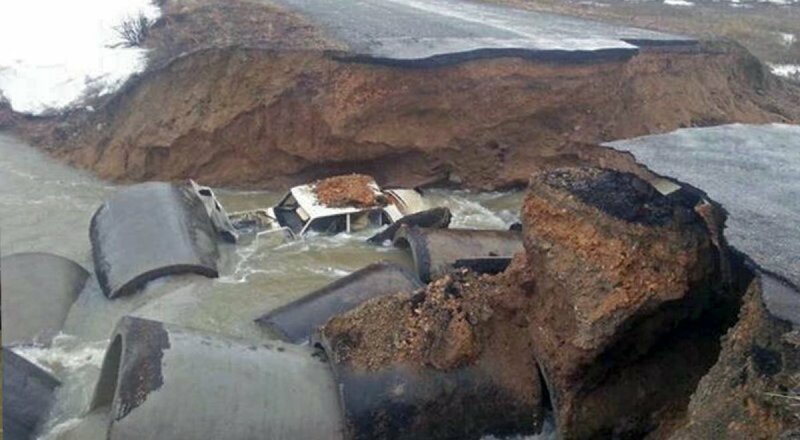 Deputy Minister of Internal Affairs of Kazakhstan, Vladimir Bozhko, sought to dispel rumors that the floods in Kazakhstan came as a surprise this year. At a press conference in Astana on April 15, he said that the forecast of Kazhydromet (National Hydrometeorological Service of the Republic of Kazakhstan) made in February suggested that the amount of autumn moisture and winter snow exceeded the normal amount by 30-40 percent in Akmola, Karaganda, North Kazakhstan and Kostanai Oblasts. Bozhko explained that 11,172 people had been evacuated from danger zones in advance, with 25 people rescued from rooftops. More than 36,000 heads of livestock were driven away from the endangered settlements to higher ground. The danger of flooding still remains high.